Written for the amusement of adults and young adults alike, this is the story ofthree gingerbread people who are brought to life by unusual circumstances. They live at Grand Canyon Arizona and each of them has a different personality. 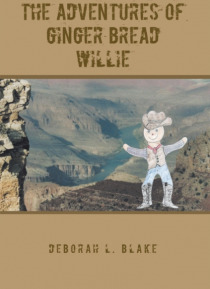 The main character Ginger Bread Willie is adventurous and decides to run theRapids within the Canyon. Fanny his evil sister sets out to destroy whoever and wha… tever she can just forthe heck of it with help from her fugitive friend Alvin Butch Hung (Al B Hung),they intend to cause mass destruction of human life. Jane is the sweet and lovely third ginger bread character who spends hertime between home and the Canyon. Join them and the friends they make as they find out what life is all aboutbeing a walking, talking, living ginger bread biscuit which most people seemto accept as normal in this weird and crazy world of The Adventures of GingerBread Willie. All I ask is forget what is normal and enjoy my imagination.